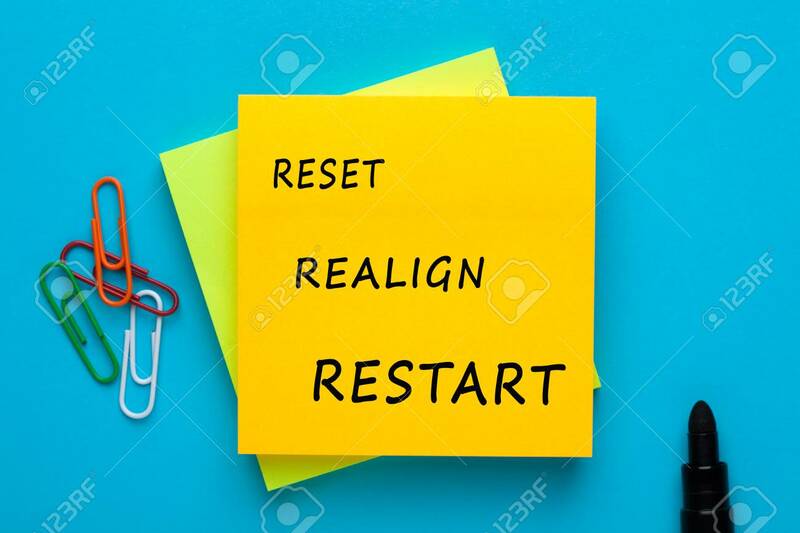 RESET, REALIGN & RESTART Written On Note With Marker Pen Aside. Business Concepts. Lizenzfreie Fotos, Bilder Und Stock Fotografie. Image 119551373. Standard-Bild - RESET, REALIGN & RESTART written on note with marker pen aside. Business Concepts. RESET, REALIGN & RESTART written on note with marker pen aside. Business Concepts.